We love bananas in our house. Especially the slightly green ones. That means that if a banana turns brown in our fruit bowl, it is sent to purgatory – in our freezer. The result is that we have a growing pile of brown bananas inhabiting our freezer. This morning, I decided something had to be done. So I took one out, threw it in the microwave for 45 seconds, squeezed it out of the skin into a pan, sprinkled it with some cinnamon, and simmered it for 5 minutes. The result was a deliciously sweet topper for my oatmeal. And not only was it tasty, this breakfast topper was healthy as well. Bananas are a good source of dietary fiber, vitamin C, potassium and manganese, and a very good source of vitamin B6. They are also very low in saturated fat, cholesterol and sodium. Meanwhile, cinnamon has many potential health benefits. There is emerging scientific literature suggesting that cinnamon may help regulate problematic blood glucose levels that are a consequence of type 2 diabetes and obesity. Cinnamon may also improve concentrations of blood cholesterol in humans, and has been shown to lower blood pressure in rats. There is also some preliminary evidence from studies done in cell cultures that suggests that cinnamon contains antioxidants and free radical scavengers (things that get rid of the bad guys), and that it has anti-inflammatory and antimicrobial properties. All great things for us humans (not so great for the free radicals). While the evidence is still in the early stages and more research is needed, the suggested benefits of cinnamon make it an excellent choice for sprinkling on your cereal. Plus, it tastes divine when combined with over-ripe banana. 1. Put frozen banana in the microwave for 45 seconds (or use a fresh brown banana). 2. Remove the skin and place banana flesh in a small pan. 3. Add the cinnamon (and a sprinkle of water if using a fresh banana). 4. Cover and simmer on low for 5 minutes. 5. Place on top of your oatmeal, yogurt, or any other breakfast bowl and enjoy. 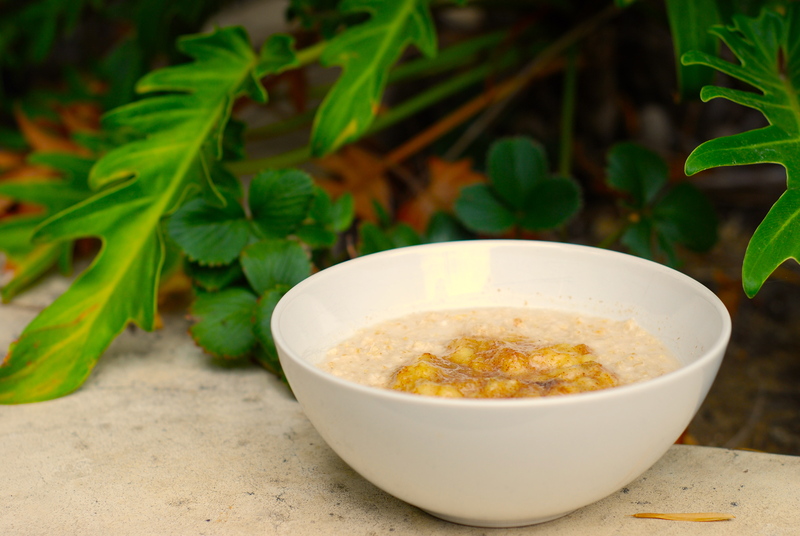 « Is It Better To Eat Oatmeal Or Cornflakes For Breakfast?